位置No. 451 ,"but you can still take advantage of the opportunities Twitter provides to learn and to share your learning with other educators. One very simple way to do that is to Tweet about the books you’re reading." 位置No. 578 ,"For example, if you participate in #Satchat every Saturday morning at 7:30 (ET), you will find a tremendous conversation going on about a relevant topic in education." 位置No. 611 ,"The search box is an underused feature on many web-based applications, but it will undoubtedly change the way you use Twitter by shortening the amount of time you spend looking for answers, resources, and people." 位置No. 634 ,"Twitter also gives you the option of selecting the geographical area you want your search results from. Choose to see search results from everywhere, or only those near you." 位置No. 654 ,"Being a connected educator is more about modeling the right behaviors (sharing information, participating in chats, seeking out and growing your PLN) and less about telling people how they should grow professionally." 位置No. 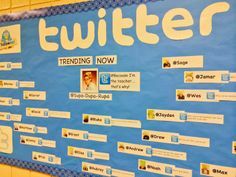 660 ,"Another great approach to showing your colleagues the power of Twitter in education is to sit down with them and go through the sign-up process." 位置No. 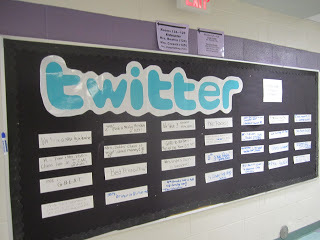 715 ,"If you're looking for a specific Twitter chat, visit https://sites.google.com/site/Twittereducationchats/"
位置No. 839 ,"If a teacher does not tell their classroom story, somebody else might. And it could be wrong." 位置No. 853 ,"Tools like Tagboard.com can help you accomplish the task of following a hashtag across multiple social media sites at one time." 位置No. 926 ,"It’s there−every day−in each of our schools, and the stories deserve to be told. Not for the glory. Not to be smug. But to recognize effort, success, hard work, and the fact that great things are happening in our schools and most people have no idea." 位置No. 956 ,"Mystery Location calls"
位置No. 982 ,"To add a new or existing account, tap More options at the bottom of your screen, select the appropriate choice, and let Twitter walk you through the process." 位置No. 1064 ,"Case in point, the hashtag we will use for this book, #140EduTips." 位置No. 1066 ,"Staying isolated is no longer an option for educators." 位置No. 1118 ,"You may encounter times when people challenge your way of thinking on Twitter, and that’s perfectly fine. Just keep your cool and remain positive. If things get too crazy, ignore or block the person." 位置No. 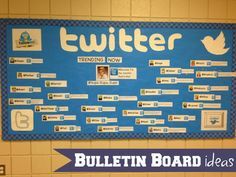 1247 ,"Twitter bulletin board is a space in your classroom where students can show what they know about a particular topic in 140 characters or less"